A new Integrated Transport Hub (ITH) in Singapore will feature several technological innovations to improve workplace safety and commuter convenience. 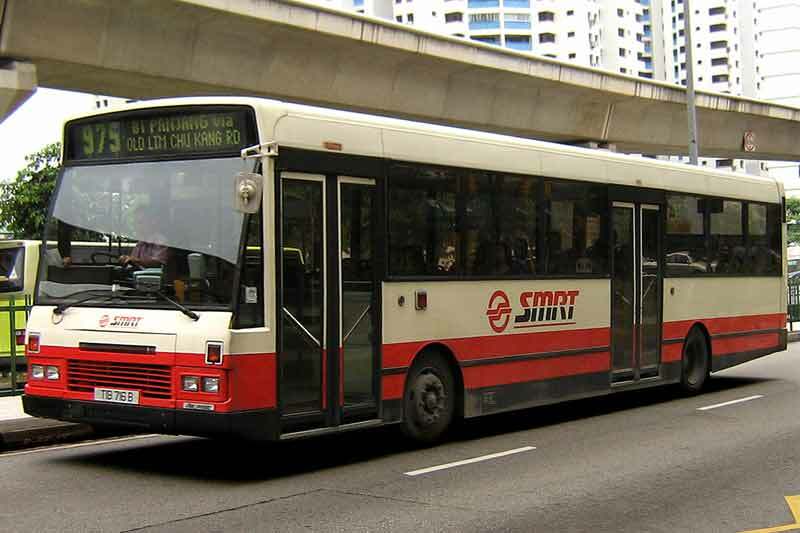 The features of the Bukit Panjang ITH (BPITH) were revealed in a joint press release by the Land Transport Authority (LTA) of Singapore and SMRT Corporation, which is one of the main public transport operators in Singapore. A traffic management system (TMS) has been installed at BPITH in a first for SMRT. It enhances safety by detecting the movement of vehicles and increases bus captains’ visual awareness of bus movements within the bus parking area. The TMS enhances traffic management and improves workplace safety in the in the interchange. The system not only assists bus captains in bus parking but also better supports them to meet the timeliness of bus schedules by reducing unnecessary time wasted in bus parking. Interactive information kiosks provide clear and consolidated digital updates for commuters. But it goes beyond displaying just bus departure timings. The kiosks are integrated with train timings for MRT and LRT services (the city train systems). A ‘Journey Planner’ function allows commuters to better plan their trips point to point, taking into consideration travel time and cost. The kiosks are also equipped with maps and directories so commuters can find their way to key areas around the ITH. Apart from journey information, the interactive kiosks also allow community members and organisations to display career opportunities and information on community events. While resting in the lounges, bus captains can check on their work schedules, leave application status and retrieve their payslips via the Bus Captain Management System (BCMS) terminals. The BCMS is also available as a mobile phone app, so that bus captains can perform these functions remotely, and receive notifications from operations supervisors. An electronic toilet feedback system ensures that the toilets at the transport node stay clean and fresh for commuters all day long. Commuters can rate their experience or submit feedback which is channelled directly to the administrative office and cleaner’s room so that immediate action can be taken by staff.